I came to Christ in my junior year in high school through the friendship of the person who would become my life partner. I graduated from Northwest University in 1976 and have been in full-time ministry over 40 years, 30 of which, as a lead pastor of a growing church on the Kitsap Peninsula. I have served as the chaplain for the Lynnwood Police Department and then as chaplain for North Kitsap Fire & Rescue for 26 years. 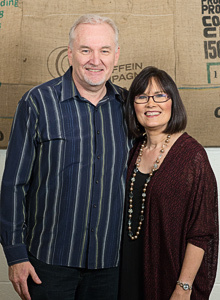 Leilani and I have worked as a team through most of our time in ministry. At CCA I primarily minister to the older adults (Boomersplus) but I also oversee other ministry areas such as groups and assimilation. Leilani on August 26, 1972. We have two children and five grandchildren all living in the surrounding Seattle community. Glory, Ryan’s Daughter & Saving Private Ryan. I’d like to get back to Kona, HI, for at least a two week stay. “The only ones who fail are those who fail to try.” – first heard in my sophomore year in high school from my social studies teacher, Mr. Malner.